Teem is WeWork's fourth acquisition this year. 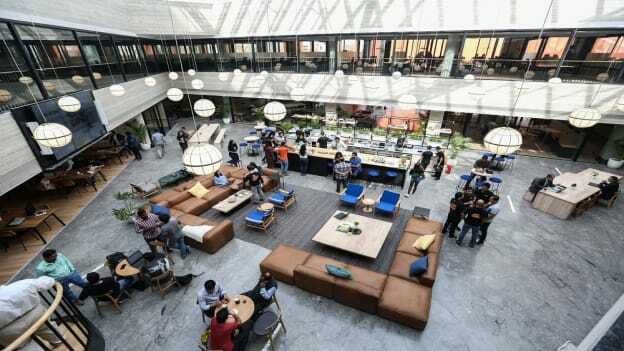 Coworking space provider WeWork has acquired Salt Lake City startup Teem, a maker of office management software for a $100 Mn, as per a Wired report. Teem, founded in 2012, develops facility management software. Coupled up with analytics tools, it helps companies figure out things like which rooms are being underutilized or when it’s time to purchase new tech for a conference room. It has more than 2,800 customers include Airbnb, Slack, Lyft, and Box. Teem will continue to operate as an independent business entity in Salt Lake City. But its software will also be integrated into Powered by We offerings. Powered by We is WeWork’s bundled design, facility management, and technology services that it offers to companies with more than 1,000 employees. Teem is WeWork’s fourth acquisition this year. It meanwhile acquired three companies earlier this year, including the Chinese co-working startup Naked Hub, for which it paid $400 Mn. In India, meanwhile, WeWork is aiming to double its locations in India to 20 by the year-end from the current 9 locations.